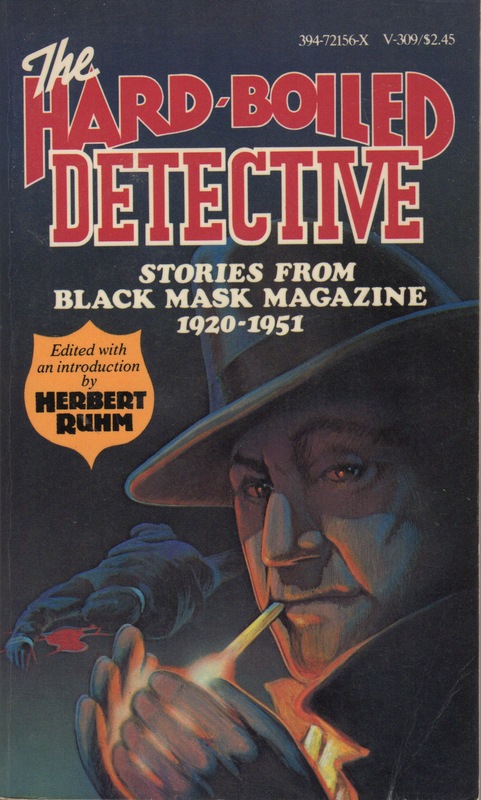 It should come as no surprise that an anthology of hard-bolied stories would be sourced from Black Mask Magazine, the pulp monthly published from 1920 to 1951. It’s the pulp that launched many stars of the genre, including Raymond Chandler, Dashiell Hammett and Erle Stanley Gardner. This 1977 anthology collects thirteen very good stories, some of them reprinted here (though subsequently reprinted, more than once) for the first time since their initial appearance. Although you may be able to find all of these stories elsewhere, this is a nice little anthology for reading, or re-reading, some great stories. Some of these, such as “Take It and Like It”, “Goldfish” and “The Gutting og Couffignal” are well worth reading – but then the entire book is – again, if it’s been a while. For the reader coming to these for the first time, I envy you. That’s a hell of a line up! I had the same reaction (“That’s a hell of a line-up!”) when I first read this book in the late 1970s. Great stuff! Loved this book. I hadn’t realized until I read it that Merle Constiner wrote hardboiled detective yarns before he was a Western writer. Me either, but it was fun to read, the whole anthology was. It is indeed a hell of a lineup, and goes with the Shaw and Goulart anthologies as classics of hardboiled mysteries. In fact, I read the three anthologies almost back to back to back in January 1977. They’re all good, and nice to revisit occasionally. Read this one a long time ago, though I’d read several of the stories in it elsewhere. Nevertheless, a worthwhile addition to any library of classic hardboiled tales. I read it long ago too, but pulled it back out for a re-read for this post. What fun. This one is pretty much a “can’t miss”. That selection of stories sounds good and I am not familiar with any of them. I will look around for that book. Ruhm came to MWA in NY when the book came out and spoke, and then we went out afterward. A short time later I had him over to my house with some other writers. He drank wine and fell asleep on my couch. But he was an interesting guy, had a history with Evan Hunter back when he was still Sal. I also read it a million years ago. Good stuff.